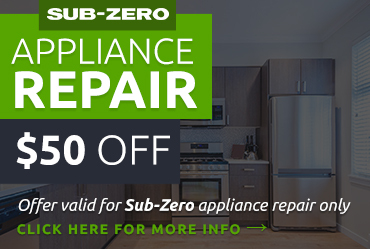 Home » Appliance FAQ’s » How Do You Know if Your Refrigerator Compressor is Bad? If you know your refrigerator is not running well, you may jump to the conclusion that the issue lies with the compressor. The truth is that many property owners have paid thousands of dollars for new appliances, or wasted money on replacing a compressor, when it was not the issue at all. 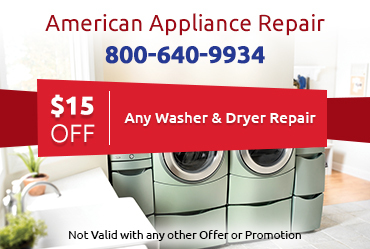 This is why we at American Appliance Repair have provided you with comprehensive information to tell if the issue is likely the compressor or if there is something else going on. 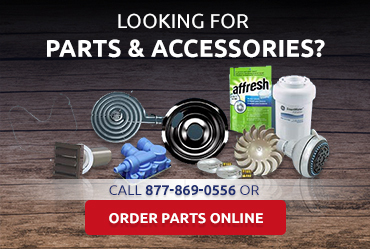 While the instructions here will help you determine the likely cause, the best way to know for sure that is going on is to contact us at 800-640-9934 for service. Most everyone is familiar with the sound of a refrigerator kicking on and off. This may sound like a faint humming and you may not even notice it anymore because you are so used to it. That is the compressor. If you do not hear it, then it may be that your compressor is not working correctly or is broken. Pay attention for half an hour. If you do not hear it, then there is an issue. If you do hear the compressor working but your fridge is not cold, or you hear it running constantly without shutting off, then it is likely there is an issue with the compressor as well. Pull the fridge away from the wall. Find the panel on the side of the compressor. Use a flathead screwdriver to remove the one or two screws that are holding the panel on. Locate the starter relay switch and unplug it from the compressor. It will be the size and shape of a small ink cartridge you would use in an at-home printer. Shake the relay switch. If you hear a rattle, then it is bad. You will need to order a replacement part. If there is no rattle, then it’s likely the relay is fine but the compressor is the issue. A relay switch is generally fairly affordable to replace. Unfortunately, a new compressor can cost more than it would cost to buy a new appliance. 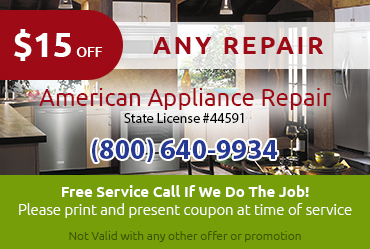 When you work with American Appliance Repair, we can look to see if your refrigerator is still under warranty. If not, we will offer all your options so you can make the most informed decision about how to proceed.